I'm sending the photo of the rocking horse. I have sent to you in the past photos of the other items I have made, ie, bi-plane and tumbler. Still being played with! 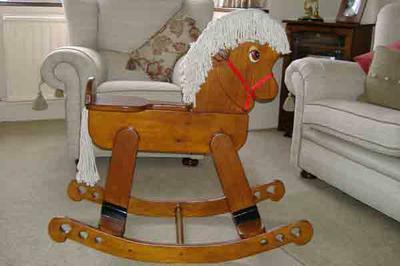 Perhaps the caption could read "Peter from Staffordshire, in England built this rocking horse for his grandson. I am now onto my next project!